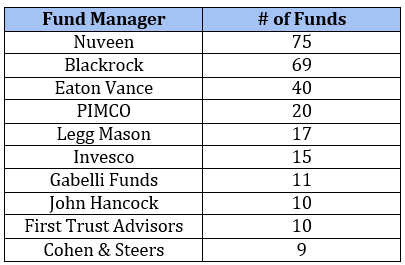 Members of my CEF Insider service often tell me they’d love to know a lot more about the people at the helm of closed-end funds—the good, the bad and the ugly. 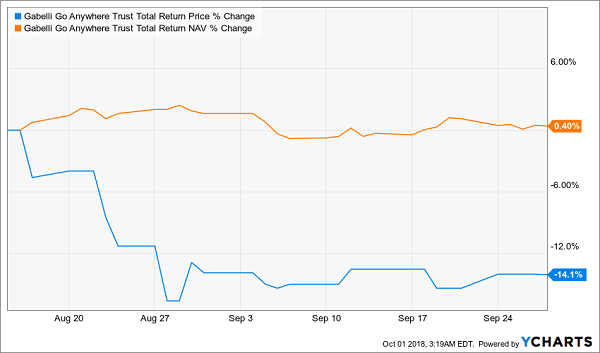 As one of the few analysts who focuses solely on CEFs—especially smaller CEFs—I’ve had several conversations with managers at CEF companies from across the market. Obviously, this matters because if you buy a CEF at a huge discount and wait for it to go to a premium, you can reap massive gains. But there’s a second reason why this matters a lot—and it’s why a lot of fund managers wish CEFs were more popular. 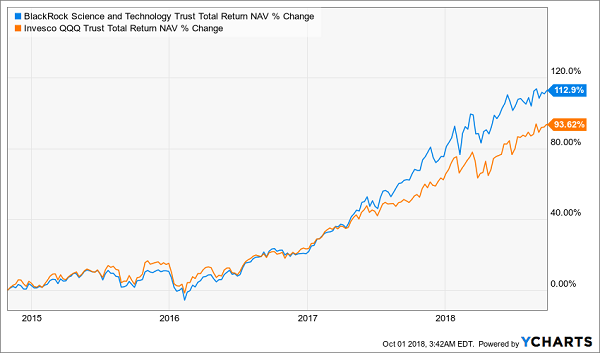 That already sounds like a good deal, but the real magic happens when the fund’s NAV goes up. 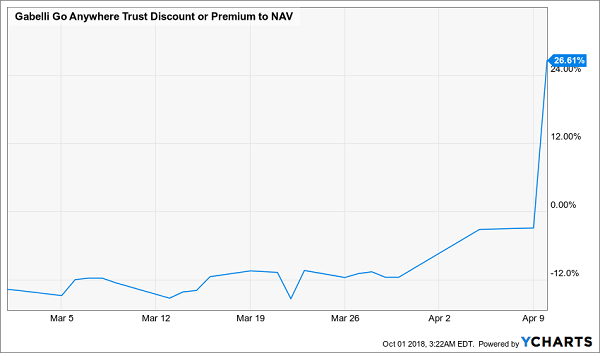 If it rises 10% and pulls the market price up the same amount, that’s a $10 increase—but since we paid $90, this $10 gain translates into an 11.1% profit on our invested capital. 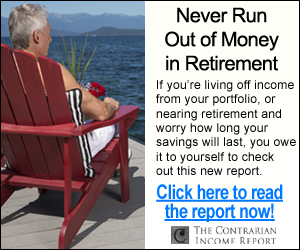 That 1.1% extra return on our original investment equals 99 cents—or about the same as the fund’s fees! 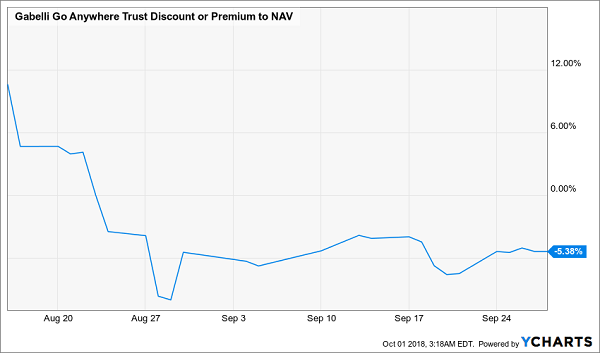 In other words, by buying a CEF at a discount (if the discount is big enough proportional to the fund’s fees), we’re essentially sidestepping the fees—they’re cleared when the fund swings to trade at its net asset value or at a premium to its NAV. Why? 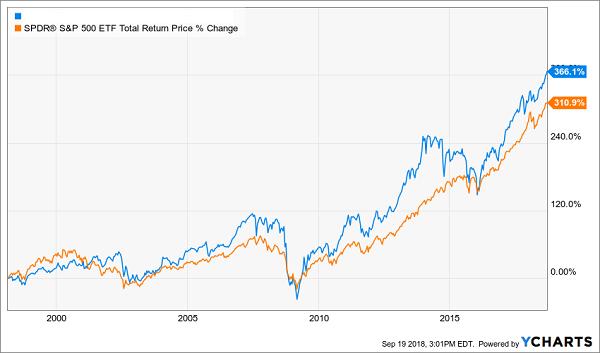 Because Flaherty & Crumrine focuses all of its time and energy in the preferred-stock market, so it knows this area better than anyone else—its outperformance proves it. It isn’t alone. Several CEF managers stay small and nimble, but because they’re experts, they crush the market as a whole and are able to do that for years. 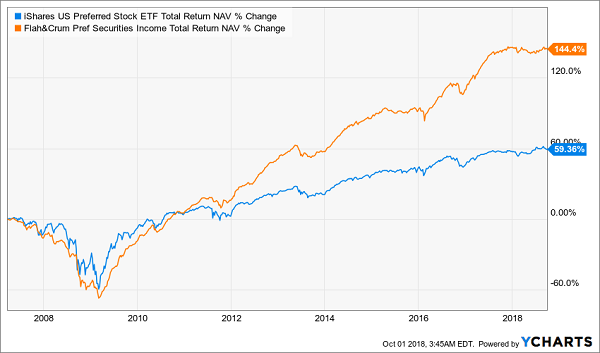 Yet investors often ignore these funds, instead being lured by the low fees and massive marketing dollars thrown at “dumb” index funds—and leaving a lot of gains (and income) on the table. 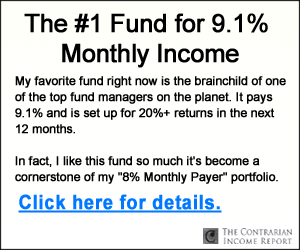 And here’s something else you should know: this incredible fund has crushed the S&P 500 over the long term—and thanks to that huge 9.1% dividend, most of that gain was in CASH!